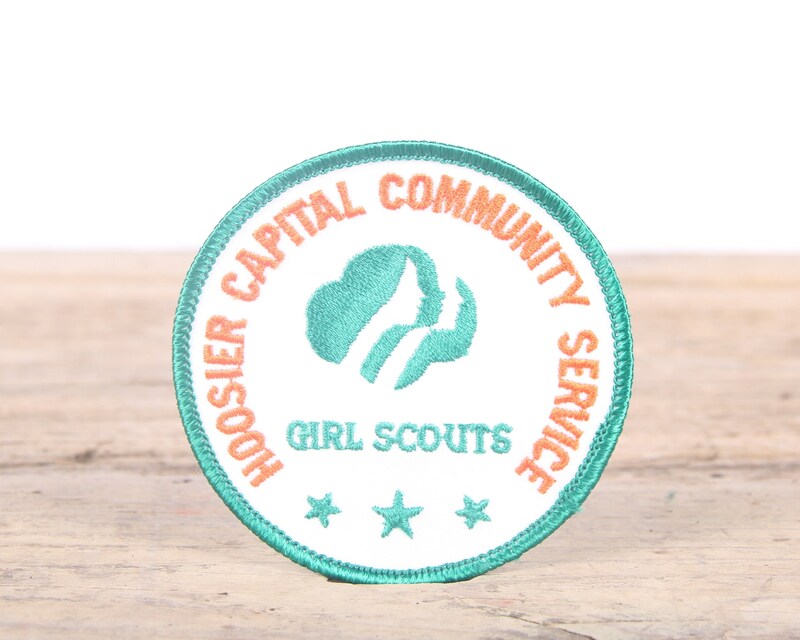 This listing is a vintage "Hoosier Capital Community Service Girl Scouts" patch. The patch measures 3" wide. Contact us with any questions.